An exquisite exterior, though one of the top tiers to want when building your new home, tends to fall slightly inferior to comfort and efficiency after the initial “sees” end. 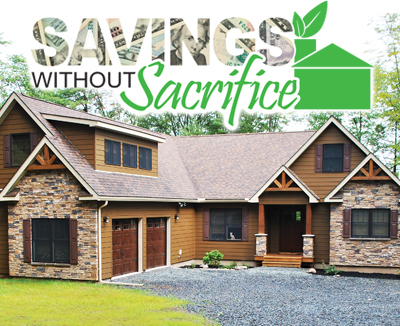 So how do you get seasonal energy savings without sacrificing the curb appeal you’re craving? 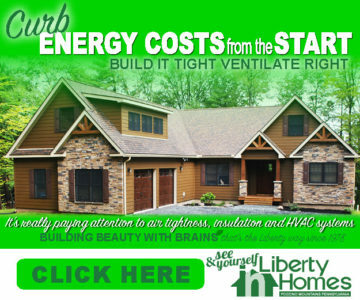 Reciting an engaging familiar phrase, “Some homes are beautiful but aren’t made for people,” Liberty Homes Custom Builders’ John Holahan tells how the Pocono Mountains award winning builder blends beauty with “brains” sharing his house as a “system” view. Functionality is the focus; exceeding code standards Liberty looks at Home Energy Rating System (HERS) reporting as it rewrites the book on requirements. While not all builders choose to pursue suggested 2015 Code particulars, the Penn State University Industry Advisory Council member reminds what’s legal today may not be next year, codes will change. A passion for NetZero Ready Building shows, as unwavering attention to rigorous standards that reduce an ecological footprint remains part of the Residential Energy Services Network (RESNET) builder’s protocol. Third party certification to pass these 2015 Codes comes as an “every home has to” choice. Considering even more than safety, he reminds investing “right” now, curbs utility costs and maintenance down the line. Aware step one is, and always will be, what people want to see when building a new home; customizing plans to suit more than a great view should certainly squeeze in as two. 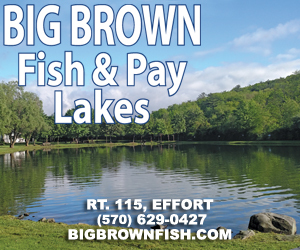 Suggesting a look-see where you’d like your new home to be in amazing communities across the Pocono Mountains as close as 45 minutes from the Lehigh Valley, Holahan recommends to then plan a peruse through online pages filled with a variety of floor models to make your own.